يقع Tudor House Motel في شيبارتون ويوفر خدمة الواي فاي المجانية ومسبح في الهواء الطلق. تحتوي جميع الغرف على تلفزيون بشاشة مسطحة ومكتب. 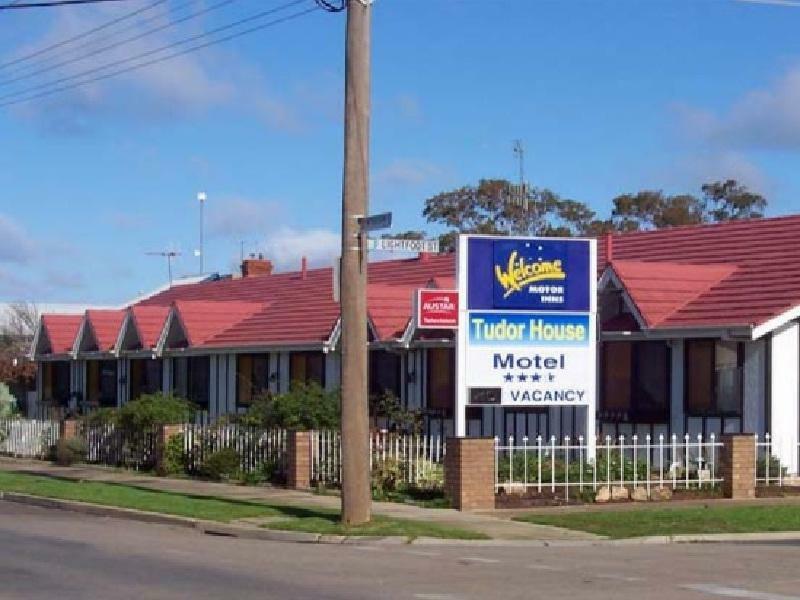 يقع Tudor House Motel على بعد 10 دقائق بالسيارة من محمية Gemmel Swamp للحياة البرية. يقع على بعد 20 دقيقة بالسيارة من Benalla. تحتوي كل غرفة مكيفة على ميكروويف وثلاجة ومرافق صنع الشاي / القهوة. وتضم بعض الغرف حمامًا خاصًا. ستجد في Tudor House Motel مرافق للشواء ومغسلة للضيوف وآلة البيع. كما يوفر مكان الإقامة مواقف مجانية للسيارات. Good value for money but the aircon is very noisy. For anyone who has problem with noises, please check if a quiet room (split system air conditioner) is available. Needs cleaning of walls and a good freshen up with paint and more attractive linin. Good neat clean and tidy rooms a bit of external noise not a fault of facility, typical Saturday night in a large town. Walking distance to city centre close to clubs and hotels. Basic accommodation that I would use again for the price but only for a night or two. Definitely needs a makeover. We have been coming here for a few years now and it wasn't in the best shape. Clean rooms, staff was wonderful just the actual outdated rooms let it down. Would recommend to others if they are looking for a cheap, no fuss, one night stay otherwise would not recommend. Everything you need for a quick stop in Shepparton. Very comfortable room with tea coffee, tv and heat pump. Would stay again.